Fall Lawn Renovations are being Scheduled!! We are a Team of Professionals that will safely protect your Trees and Lawn from Insect and Disease pests, correct Cultural issues in the Landscape and provide Fertilization programs to ensure that your Trees and Lawn are as Healthy as can be. Call us at (800) 793-6535 or use our on-line form to get a quote now. -Our ISA Certified Arborists can evaluate each Tree and Shrub to determine whether any treatments are necessary for the overall health of the plant. 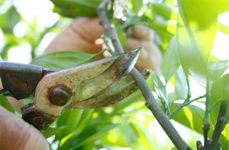 -Our trained Professionals will work with you to keep your trees growing strong and healthy for years to come. -Trees and shrubs are the most precious assets in your landscape. See how we can help you keep them healthy. 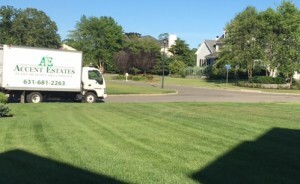 -We supply the proper nutrients to make your lawn a dark consistent green while treating for undesirable weeds. 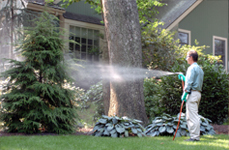 Known for our professionalism, integrity, and reliability, Accent Estates Tree and Lawn Care is Suffolk County’s premier Plant Health Care company with expertise in Insect and Disease control as well as Fertilization. Our ISA Certified Arborists can help you get the most from your landscape by providing your trees, lawn, and shrubs with the care they need throughout the year. We are committed to preserving the beauty of your environment and believe you deserve nothing less than our best. That’s why we are the trusted Tree and Lawn Care professionals in Suffolk County, New York. 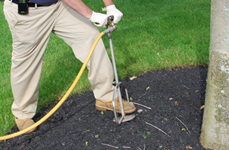 Our services include Tree spraying, Deep Root Fertilization, Diagnostics, Root Collar Excavation, Lawn Fertilization, Lawn spraying and Flea, Tick and Mosquito spraying. Let our team of professionals provide you with solutions of value to your home and landscape! Our team of highly trained Professionals will be able to service your Trees and Lawn with the utmost of care. Whether it be a simple maintenance program that keeps your Lawn green and weed free or a Tree spraying program that wards off specific Insect, Mite and Disease pests, we are by your side to guide you through each and every step of the way. We take pride in the cleanliness of the finished product and treat every property as if it were our own. Please feel free to give us a call and schedule an appointment. Thanks to accent estates we got fid of all the dead trees in our yard! Looks great! The Accent Estates team did a great job pruning a huge tulip tree hanging over our backyard and pergola. They not only got the limbs down without issue but piled fire wood and left the place cleaner than when they arrived. I also learned quite a bit talking to Justin while they worked! Very happy with the service and price and will be calling them again. Great Company and I would highly recommend. Very prompt, courteous and great prices. My dad just used them for stump grinding and he was extremely happy. I can't say enough about how Justin & Access Estates transformed our backyard! Great job at a great price.